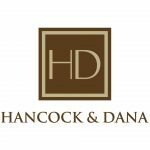 Hancock & Dana, PC is a full service accounting and consulting firm offering traditional accounting services which include income tax planning and preparation, bookkeeping, and payroll tax preparation. Their other areas of expertise include general business consulting, accounting software training and consulting, estate planning and administration, as well as assurance services including SSAE 16 audits and financial statement audits, reviews, and compilations. Work For Hancock & Dana, PC? Claim This Page.